Hearst Castle is a 60,645-square-foot, 165-room Moorish-style mansion on the California coast. Between 1919 and 1947, it was the residence of newspaper publisher William Randolph Hearst, and in 1954 it was turned into a California State Park. Hearst Castle has 127 acres of gardens, terraces, pools, and walkways, plus a three large guesthouses and the opulent main mansion, which is full of Spanish and Italian antiques. 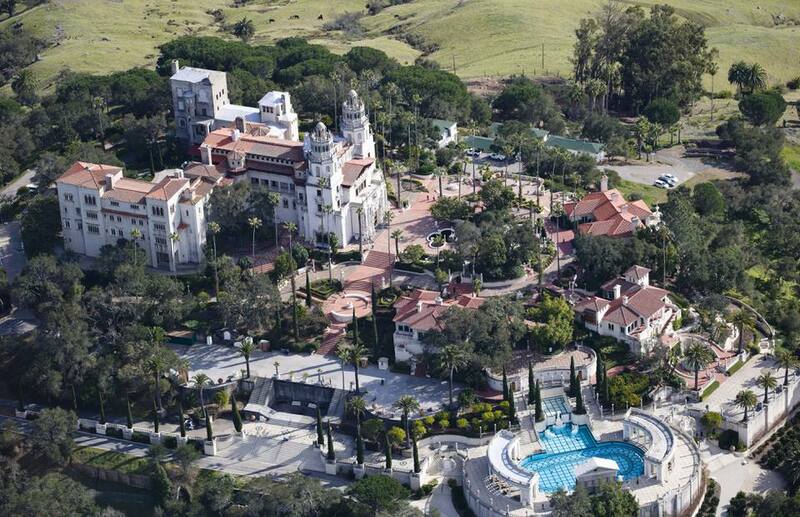 In its heyday, Hearst Castle had a private movie theater, a zoo, tennis courts, and two magnificent swimming pools. Lavish parties were common at Hearst Castle, and movie stars were frequent guests. Hearst Castle Evening Tour: The house is interesting during regular day tours, but can feel more like a museum than someone's home. During the evening tours, the mansion comes to live thanks to tour guides dressed in 1930s fashion, much like Mr. Hearst and his friends would have. Hearst Castle at Christmas: Although there are no events during the holidays, the house is decorated in seasonal style, with lights and garlands. It's also generally less busy than in the summer. Designing the Dream: Get an overview of how the Castle was built from its earliest construction in the 1920s, through the final touches done in the mid-1940s. See the Casa del Sol guest house and the north wing of the big house. Before you set off to visit this National Historic Landmark, there are a few important things to note (especially if you plan on bringing little ones along). The Hearst Castle Theater's 40-minute show tells the story of Hearst Castle and is a good addition to the site tour. The Hearst Castle app gives you an in-depth history and notifies you when important or interesting things are nearby. It also helps you decide what must sees at the castle to put on your list before you get there. WiFi is slow at the visitor center, so it's best to download it before you go. The castle isn't the most interesting place for children to visit. No strollers are allowed on the tour, and there are lots of antiques and art that little hands shouldn't touch. In the summer, the temperature at the top of the hill can be as much as 30 degrees hotter than at the visitor center. Wear sunscreen and a hat, and take a bottle of water. Crowds are also the worst in the summer, so be prepared for long lines and larger tour groups. Hearst Castle is located halfway between San Francisco and Los Angeles, so there are plenty of easy ways to get drive here. The best way is to take scenic Highway 1 along the coast of California, but be sure to check ahead with CalTrans for road closures. Winter rains and mudslides sometimes close the scenic highway well into summer. You can call them toll-free from anywhere in California at 1-800-427-7623 or check the status on their website. It takes six hours to get to Hearst Castle from San Francisco on Highway 101 and Highway 46. To drive all the way from San Francisco to the castle on Highway 1 will be about eight hours on the road, so plan on a long weekend trip with maybe a stopover in beautiful Monterey. From Los Angeles, it's about a six-hour drive on Highway 101 and Highway 1. From San Diego, the drive on Interstate Highway 5 North to Interstate Highway 405 and onto Highway 101 adds about two hours, making it an eight-hour trip total.